I thought I'd share a few photos of the newly named FTS clone, "FTS Shogun Star". 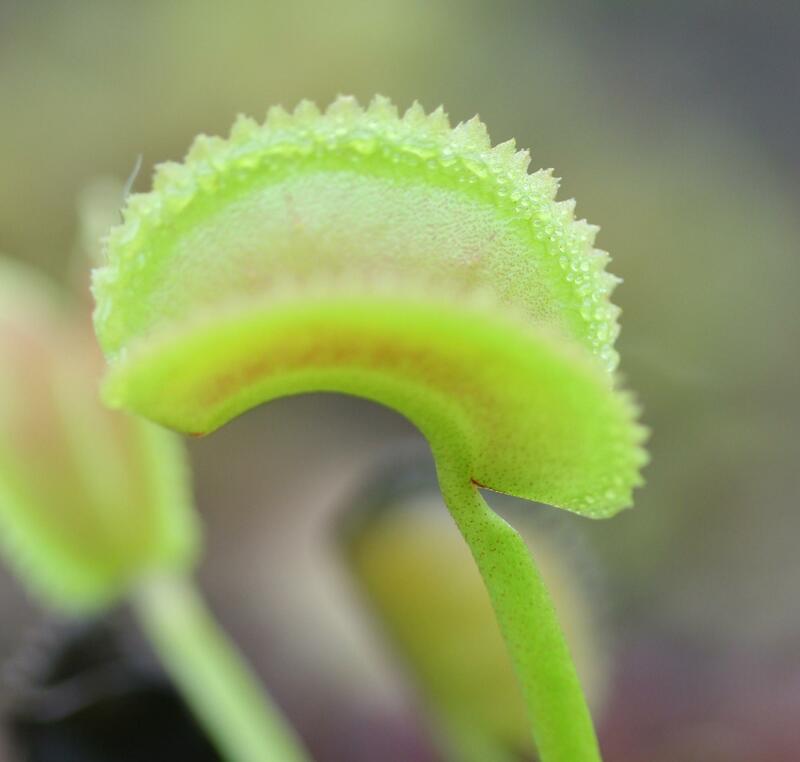 This plant was germinated in vitro from the 2008 a store seed harvest. The name was chosen by my wife, who is much more creative than I am, because of the similarity of the cilia to the points on a Japenese (ninja) throwing star. 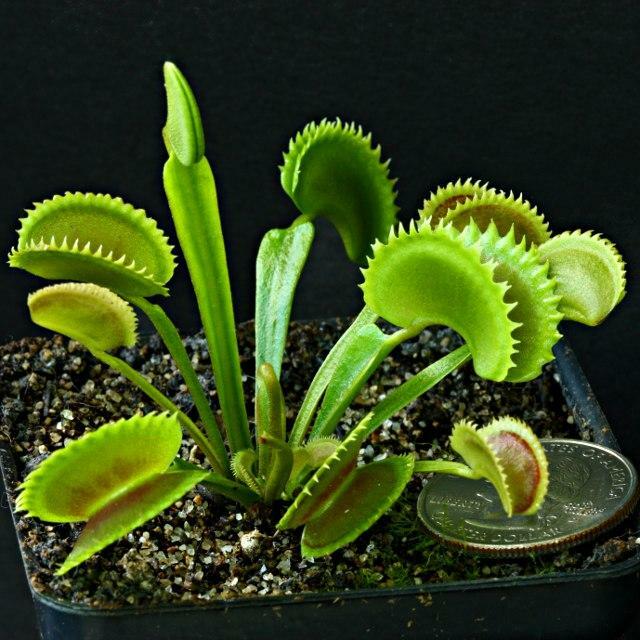 "FTS Shogun Star" is almost certainly an offspring from a cross with 'Dentate Traps'. 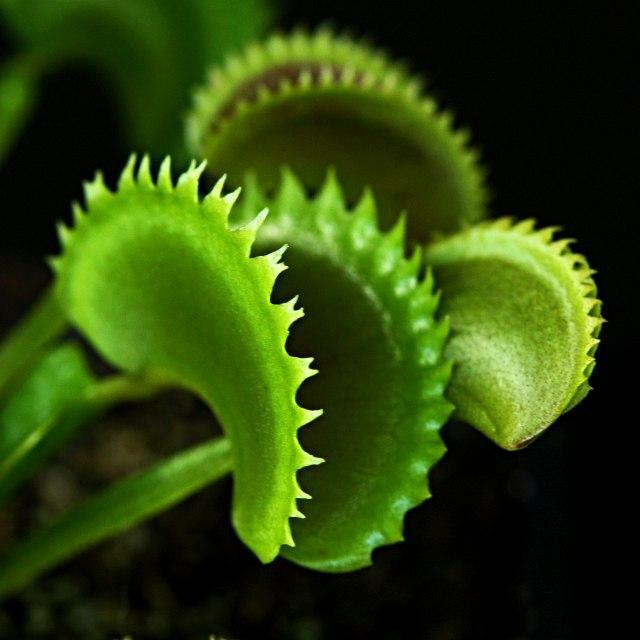 Like 'Dentate Traps' it has short, usually triangular cilia, but what distinguishes "FTS Shogun Star" is that the ciliar remain shorter and are often forked, giving it a nearly sawtooth-like appearance at times. 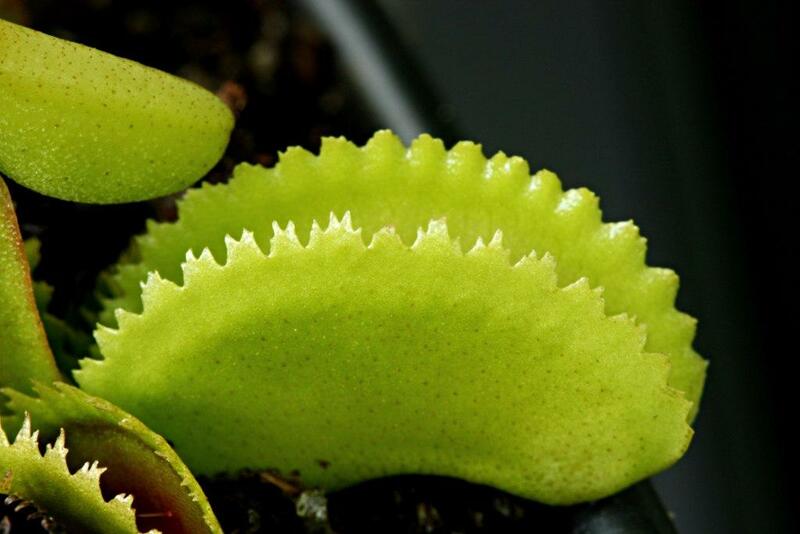 It also has a somewhat yellow coloration with traps that get good color in late fall. WOW!!! Very nice and your wife is certainly very creative! Last edited by victor on Sat Apr 09, 2011 9:58 pm, edited 1 time in total. Thanks for posting the pictures, the FTS Shotgun Star looks amazing, is very pretty! 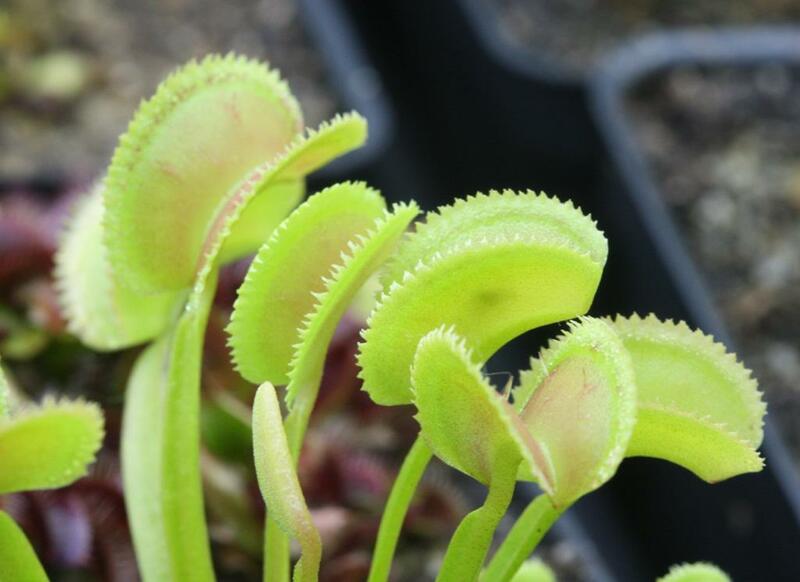 Matt-Any updates of the VFT that had extra triggers hairs in the margin of the trap? 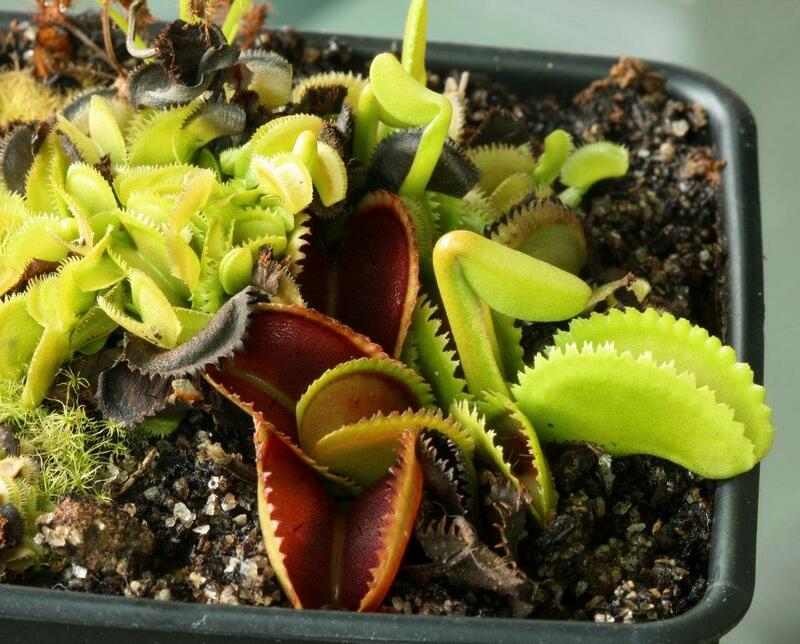 jht-union wrote: Matt-Any updates of the VFT that had extra triggers hairs in the margin of the trap? I actually repotted it while Steve was here and sent all of the small divisions home with him to grow up. I also put two leaves in tissue culture at the same time. That was 15 days ago and they're still clean, so hopefully one or more of the pieces will start to form callus. 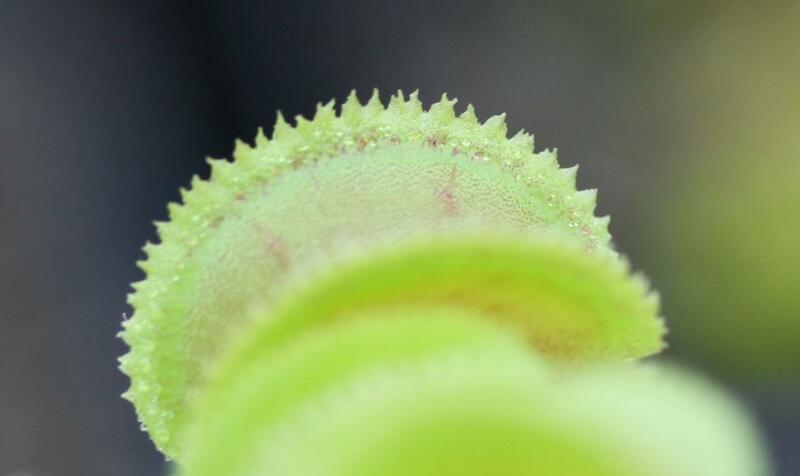 As for the actual "mother" plant, I tested the trigger hairs on the margin of the plant and they are functional. However, I was disappointed to see that the largest, most recent trap opened and it didn't have the extra trigger hairs on the margin. 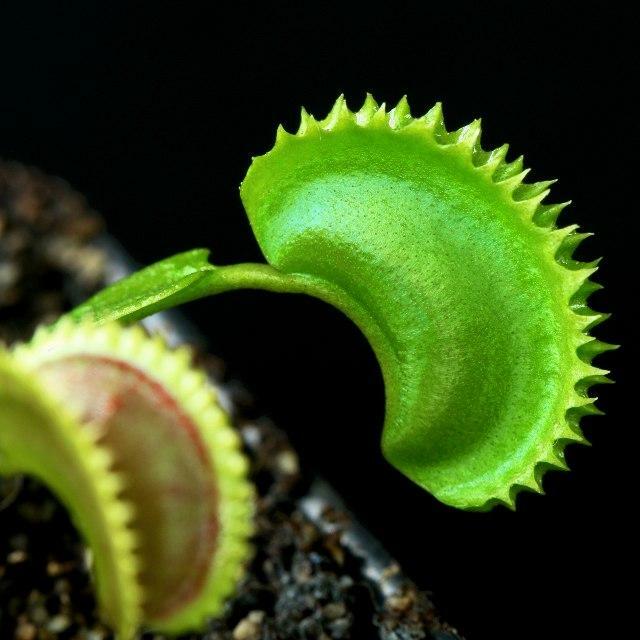 That particular trait may only manifest itself on smaller traps. Or perhaps it's not a stable trait, like the fusing teeth of Fused Tooth and Fuzzy Tooth, and the extra trigger hairs only appear at certain times of the year. I can't say for sure yet, because the plant has only been out of TC for a few months. After a full year of growing, hopefully we'll have a better idea of when the extra trigger hair trait shows itself and how stable it is. Very nice hybrid Matt. Love the name. Beautiful plants! Why do the plants look differently? jamez wrote: Beautiful plants! Why do the plants look differently? It just depends on what stage of growth they're in. 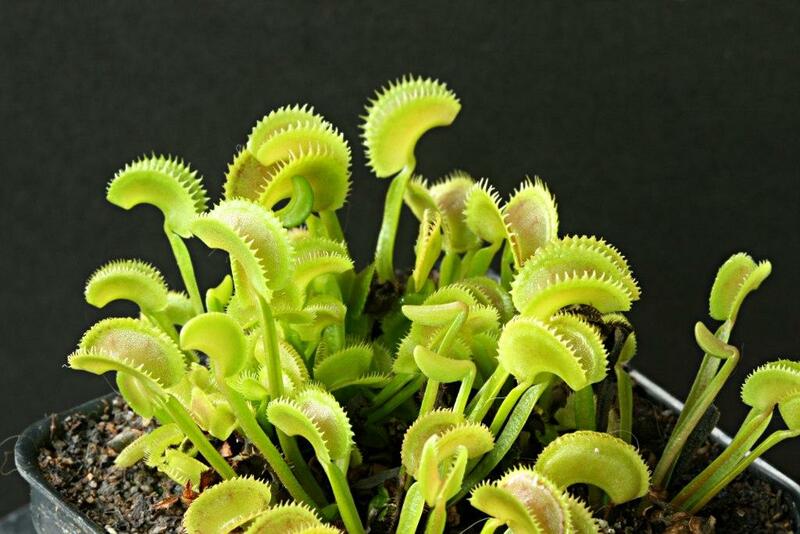 Like most flytraps, they look different at different times of the year. Gorgeous! The name suits. Good luck with this new clone and I hope it grows well for you! neat. looks a lot like bristletooth and sawtooth! Great name ! it seems like the teeth makes it more aggressive looking. Those teeth seem to strike the eyes way more than the regular dentate. You notice them right away !